HOLLY DORGER-LARSEN OF BLOOMFIELD HILLS and Brian Larsen of Copenhagen, Denmark said “I do” in an intimate wedding ceremony on July 2 in the backyard of her parents’ Bloomfield Hills home. 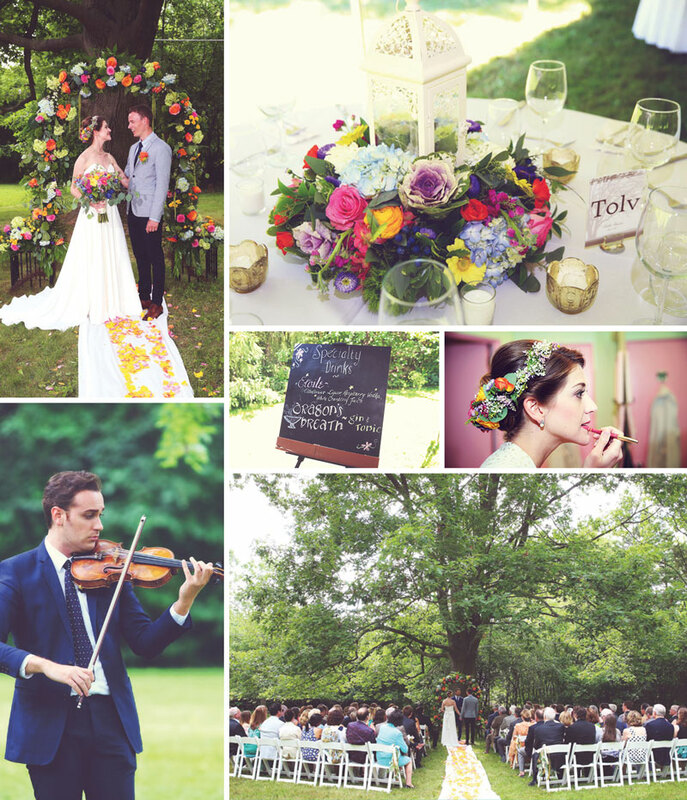 The two exchanged vows under a giant oak tree, framed by an arch of vibrant flowers. The ceremony was followed with drinks, a rather unique dinner, and plenty of dancing. It’s appropriate that guests danced the night away, considering Holly is a principal ballerina in the Royal Danish Ballet in Copenhagen. She performs at Det Kongelige Teater (The Royal Theatre), which is where the twosome met soon after she moved to the country in 2008. “He was working as a stage technician at the theater, and at the beginning of your ballet career, you understudy a lot,” Holly says. “I spent a lot of time backstage, and he just started sitting next to me.” Fast-forward seven years to August 2015, and Holly and Brian took the next big step in their relationship — they became engaged. Engagements, however, are not considered as momentous in Denmark as they are in the United States, Holly says. “He didn’t think it was that big of a deal, but I was a little like, ‘I wouldn’t mind an engagement ring …’ ” she says. One day she came back to their apartment and Brian asked if she could grab him something to drink out of the refrigerator. She found more than beverages. In front of her was a box that held her engagement ring. (He had gotten nervous and hid it there earlier, forgetting that he hadn’t moved it.) She said “yes,” and it was time to plan a wedding. 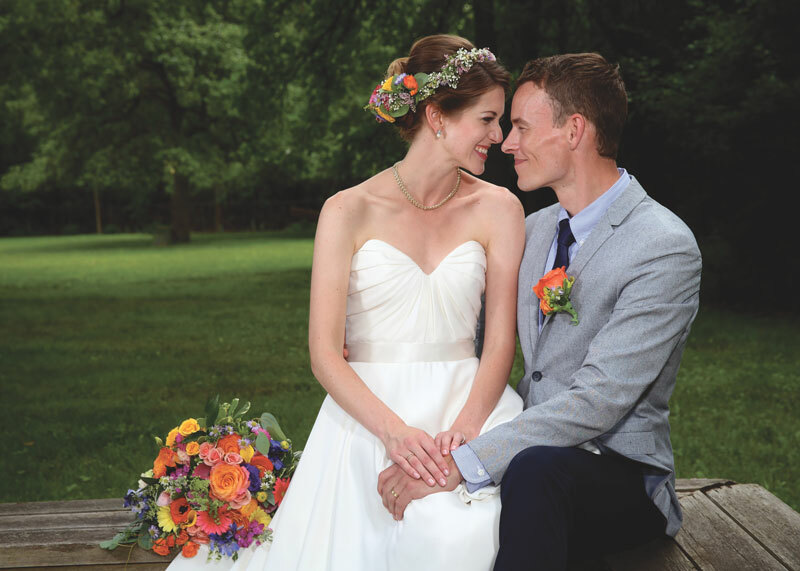 While Holly Dorger entrusted her mother with much of the wedding planning, there was one thing the bride couldn’t do without — an abundance of vibrant flowers. 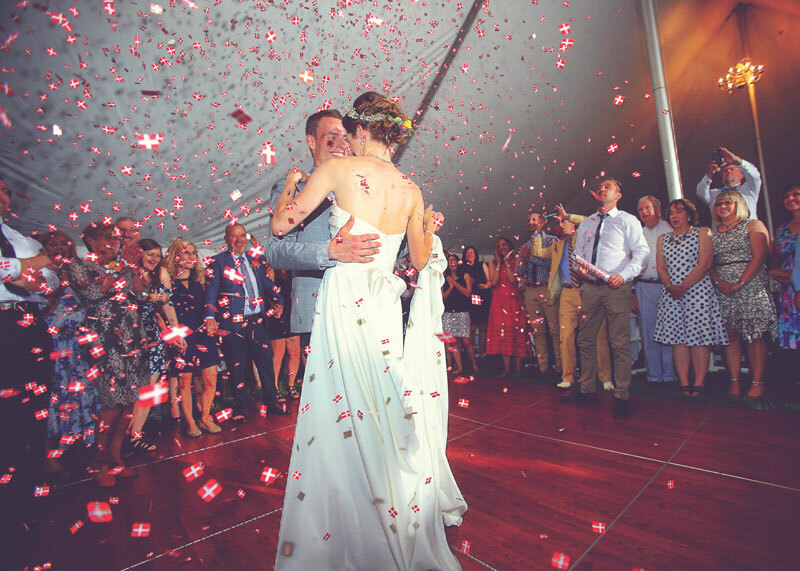 The only other time Holly came home before the wedding was the January prior to sample menu items — after that, she entrusted her mother to orchestrate the perfect day. 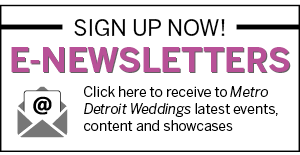 Holly and Brian landed in Detroit two weeks before the wedding. On the big day, Holly could only describe the feeling as “happy.” She moved away from home at age 14 to pursue her ballet career at the School of American Ballet in New York City. On their wedding day, she was able to see not only friends, but also family members whom she had not seen in years. The sweetness carried into cocktail hour with a signature bride drink called the “Etoile” (French for “star,” a word traditionally used for prima ballerinas; the cocktail was a blend of vodka, elderflower liqueur, white peach juice, champagne, soda and raspberry garnish) and a signature groom drink called “Dragon’s Breath,” a traditional gin and tonic. Brian’s family was able to sample the hearty American dinner, and Holly’s family witnessed some Danish traditions, as well. One such custom is the wedding waltz. “The couple is in the middle surrounded by the guests, and the couple waltzes while guests get closer and closer to them, until they can’t [dance] anymore,” Holly says. And the Danish version of the “clanking of the glasses” is a bit different, as well. When guests clank glasses, the bride and groom must kiss while balancing on their chairs. If guests stomp their feet, the couple has to kiss beneath the head table. The evening’s excitement was not only bursting from the bright floral accents and traditional dances, but also from the band, Motor City Soul, which roared classic Motown hits all night long. “The band was really fun,” Holly says. “They came down into the crowd and would sing with us.” Concluding the evening was a fireworks spectacle, fitting for the Independence Day weekend celebration.